Piers Morgan would be the first person to admit he hasn’t always been one hundred per cent on board with the idea of gender fluidity. 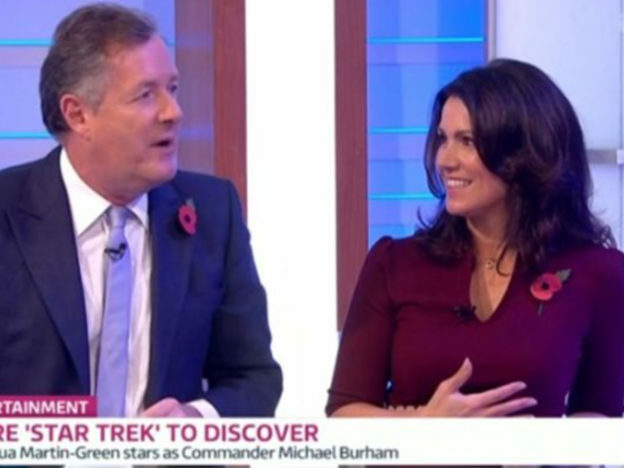 However, a recent appearance from Star Trek: Voyager star Sonequa Martin-Green on the Good Morning Britain sofa gave stubborn Piers pause for thought. Sonequa plays Commander Michael Burnham in the sci-fi series, and chatted about how her role is helping to open up a discussion regarding gender fluidity. My character is named after her biological father, who in the story was killed when she was very young. That is simply but profoundly a political statement of the gender fluidity of the future, where a daughter can be named after her father. I’m very confused and unsettled by gender fluidity, people who wake up one day and think they’re Sonequa and the next day Michael. He then asked Sonequa if she would be comfortable with her own young son identifying as gender fluid. Many a more timid person would falter under Piers’ questioning. However, the 32-year-old Walking Dead actress remained cool as a cucumber. I don’t think anyone can speak on those terms because it is such a highly sensitive and personal thing – and everyone has a right to explore that. It’s our rights as human beings. Or at least it should be. Now, as we all know, gender fluidity is one of Piers’ particular bugbears. The controversial presenter once demanded to know if he could identify as an elephant should he so wish while chatting to a gender fluid guest. However, Piers proceeded to do the unthinkable… He was impressed. #GMB Did I spot Piers Morgan go quiet when Sonequa Martin Green poleaxed him on the gender fluidity issue? A first surely? 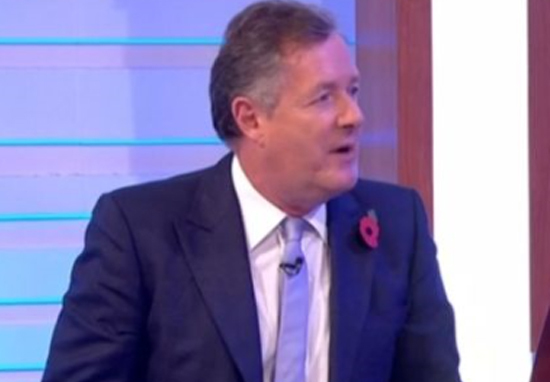 When Piers said ‘I have one word for that…’ viewers were bracing themselves for the worst. The ITV production team were probably scrambling for the bleeper. Fair play Piers. 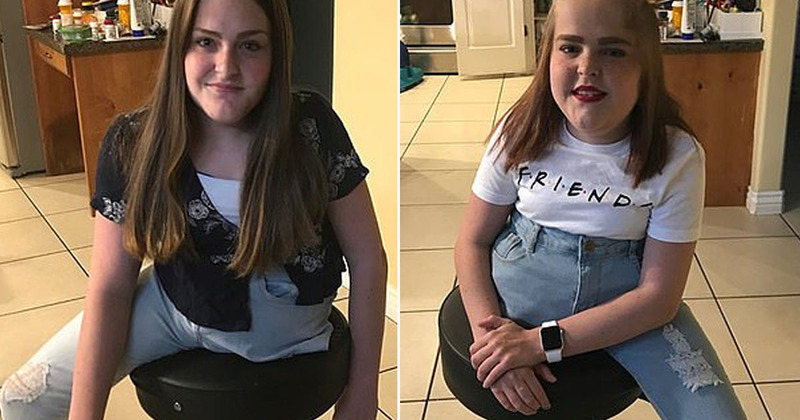 Its very difficult for an outspoken person to back down and admit the other person has put forward a good argument, even if it is not one they necessarily agree with.